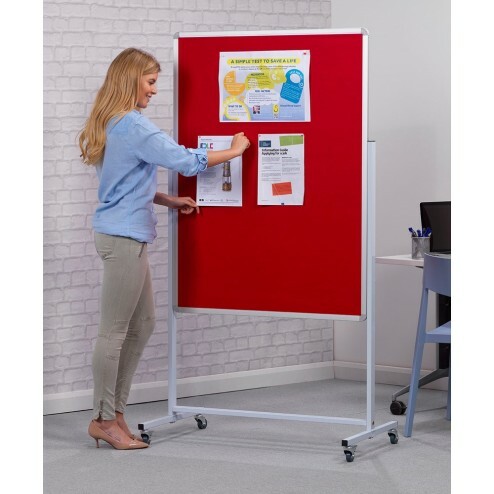 Display important information or presentation materials wherever you need them with this mobile pin board, which is an ideal solution for shared office spaces, classrooms, training and conference centres and public buildings. With four locking castors and a stability bar for easy movement and secure stability once in position, the wheeled noticeboard can quickly turn any space into a display space. 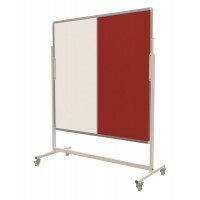 Strong and sturdy, the mobile bulletin board has an attractive satin silver anodised aluminium frame, with rounded corners for safety. The noticeboard has a tough felt finish in a choice of 4 vibrant colours – Blue, Red, Green and Grey – to complement your existing office décor or add a splash of colour to dull classrooms. The felt board is suitable for use with pins or staples, allowing you to easily attach and remove signs, notices, posters and information as needed, and the double sided design maximises the graphics area for increased impact. 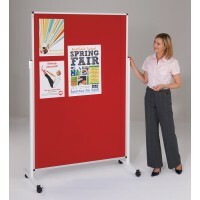 Standing on four sturdy castors, the pinnable noticeboard is easy to move, manoeuvre and lock into position when set in place, and a sturdy stability bar adds extra strength to the portable frame – just wheel it into place, lock and leave. 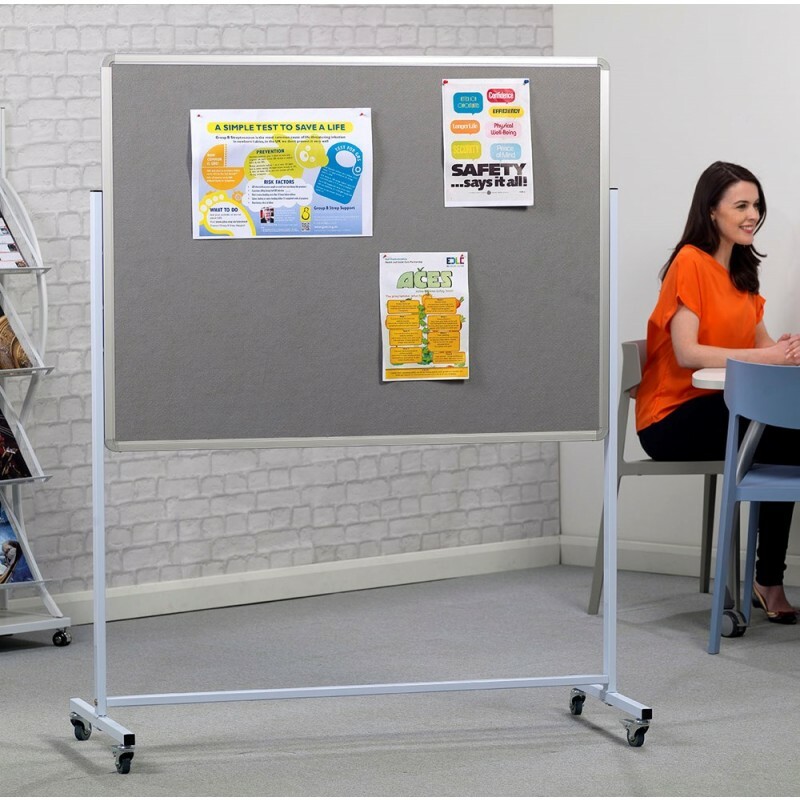 Perfect for presentations, schools, meeting rooms, training centres, universities and public buildings, the freestanding noticeboards can be closely butted to increase your display area, and are height adjustable by 210mm to suit different users and display requirements. Available in a range of sizes in both portrait and landscape orientation, the pinnable boards are made in the UK, and come with a 5 year guarantee.